With summer in full swing, having a sunny disposition in the nursery can be fun. There is nothing like a vacation in your home. Welcome to resort style, filled with hot colors, retro influences and breezy accents. Resort style starts with a foundation of lots of bright whites. White on a retro furniture piece gives the vintage feel a fresh clean look. Accent the details we love from an era ago with high-gloss paint and fun hardware. Anything with bamboo is a soft way to get the resort style look. Using hot colors for accents works best. These fun retro flamingos with their bright summer pinks and watery turquoise make for great one-of-a-kind details in a nursery—a beachy spin on the usual nursery decor. What’s fun about resort style is you can take your favorite dressers, cribs, etc. and paint them fun colors. Bring the poolside look indoors to your room. Everything about resort is fun and fabulous. 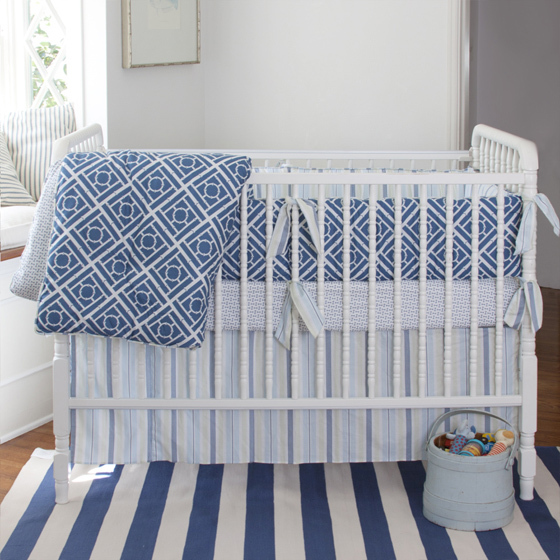 The resort style is a fresh take for the nursery with classic elements in fun colors. I still cannot fully understand what “resort” style means. You don’t have to make a trip to a tropical island in Asia or the South Pacific to escape the pressures of modern life – when you have a resort-style nursery, each day is similar to a holiday. Thanks for sharing this idea.. I can’t wait to redecorate! I have pictured resort-style a lot but I didn’t know flamingo represented resort-style too. They are looking very nice..Thanks for the post..
Love the yellow, pink, and gray rug! How do I get one?